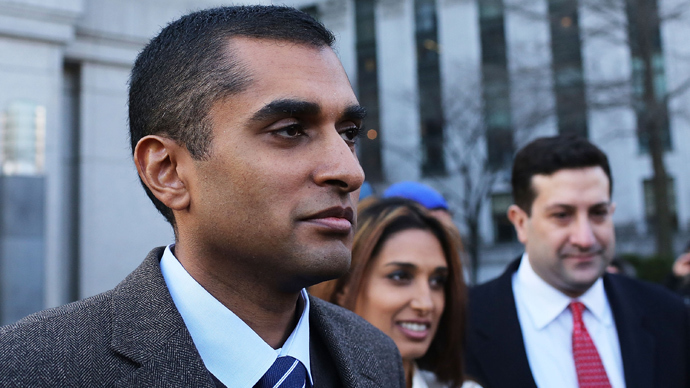 Mathew Martoma, a former SAC Capital hedge fund manager, has been found guilty of insider trading by a federal jury. He bought early information about drugs tests which helped his firm avoid $275 million in losses, and netted Martoma a $9 million bonus. According to prosecutors, Martoma got secret information from a former Professor of Neurology at University of Michigan Sidney Gilman, who was participating in testing of a new drug for Alzheimer's disease. Martoma obtained the trial results for the drug in July 2008, and SAC Capital then started selling off a $700 million position in drug firms Elan and Wyeth before the negative results were made public, says Reuters. Steven A. Cohen's SAC Capital Advisors, a $14 billion hedge fund that has long been in the cross-hairs of the FBI, profited to the tune of $275 million by selling shares in the pharmaceutical companies Wyeth and Elan Corp. now owned by Pfizer Inc, which developed the drug. At trial prosecutors presented testimony that Dr Sidney Gilman and Dr Joel Ross both provided confidential clinical drug test results to Martoma in exchange for thousands of dollars. Besides profiting the fund, the manager made $9 million in bonuses for himself. The married 39-year-old, with three young children now faces up to 45 years in prison on the most serious counts, says Reuters. The conviction of Martoma “is a major win for the government,” said Anthony Sabino, a law professor at St. John’s University in New York, in an interview to Bloomberg. Martoma remained unemotional after the jury announced the verdict, while his wife Rosemary, who sat in the front row behind her husband, could not conceal the tears welling in her eyes. Walking down the courthouse towards an SUV the couple refused to answer reporters’ questions. "We are very disappointed and we plan to appeal," Richard Strassberg, Martoma's lawyer, said through a spokesman. 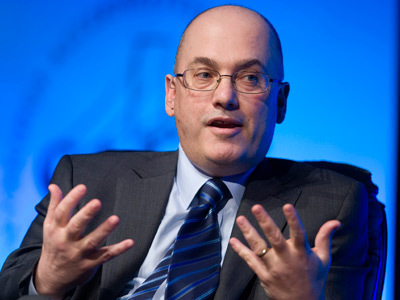 Steve Cohen, the founder of the hedge fund has not been charged with any wrongdoing. He is fighting a civil Securities and Exchange Commission action alleging he failed to supervise managers like Martoma at SAC. SAC Capital last year agreed to pay $1.8 billion in criminal and civil settlements and pled guilty to securities fraud in a landmark prosecution, eventually agreeing to end its investment advisory business.